Lord Robert Baden Powell, the founder of the Scouting movement, once said, "Scouting is nothing less than applied Christianity." Now let's look at the Holy Bible. As always, New Testament verses come from The Orthodox New Testament Volume One: The Holy Gospels or Evangelistarion and Volume Two: Acts, Epistles, and Revelation or Praxapostolos. Psalms come from The Orthodox Psalter: The Psalterion According to the Seventy With the Nine Odes, And Patristic Commentary. Other Old Testament verses and proverbs come from The Douay-Rheims Version of The Holy Bible. Point Eight: "And Morally Straight"
It seems to me, that just like the Scout Law, while not a Christian creed, the Scout Oath lines up with the teachings of Orthodox Christianity and Holy Scripture. 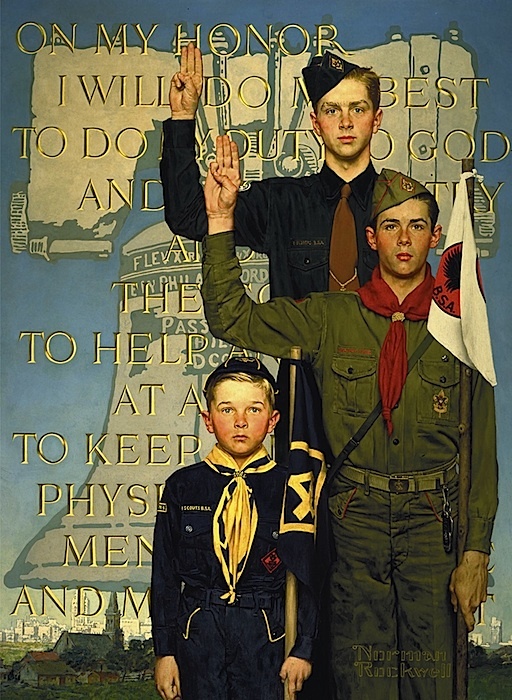 My son is a Scout selling popcorn to fund his Cub Scouts camping trips with his pack, in case that anyone would like to kindly assist him in this. You can order this week at this link: https://www.trails-end.com/store/scout/ZXPHQBKI Please be sure to use key code 3311354687 if it asks for one. Thank you in advance for your generosity! Would you mind if I used this for the Faith Book I am putting together for my Charter Pack and Troops? I am working on this as a part of my Wood Badge Ticket. You absolutely can. I just ask that you give attribution of where it came from, please. What is Wood Badge and Seabadge?